Controls: Curl Grubs, Billbug Larvae, also known as larvae of African Black Beetle, Argentinean Scarab Beetle, & Pruinose Scarab, Corby Grub and Cockchafer Beetle. For use on: Lawns (all types). When to use: Best time to spray is September-December (VIC, SA & WA) and January – March (NSW & QLD). Imidacloprid is a very safe to use low toxic insecticide that was first introduced to the US in 1994, previously patented by Bayer and used in Confidor. At last there is a safe alternative to the highly toxic chlorpyrifos lawn grub and beetle killers of the past. Safe to spray on your lawn and also your garden as there is only a short withholding period (3-7 Days). This is the latest product which has been released in a range of products designed to give effective plant protection with the least effect on the environment. Complete Lawn Grub & Beetle Killer is widely accepted to be one of the safest new insecticides for both people and the environment. You can now take care of your lawn and the environment. This is the best product for lawn grub. 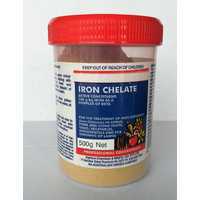 Safe to use at home and works great. Product started working straight away. 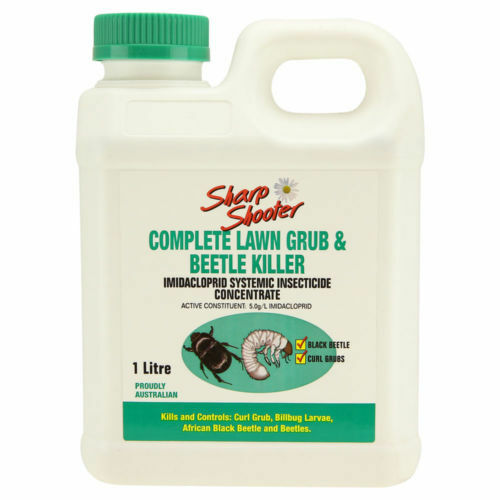 I was having trouble with grubs attacking my lawn and after initial application of this product, it was goodbye bugs. I have since re-applied and my lawn has recovered and no issues with bugs. Will use again. Product works really well to prevent the damage and spread of any larve..